VMware delivers the world’s most trusted virtualization and cloud infrastructure solutions to reduce complexity and accelerate IT. More than 250,000 customers worldwide rely on VMware to reduce capital and operating costs and increase control over IT infrastructures while preserving flexibility. They include over 99 percent of Fortune 1000 and 97 percent of Fortune Global 500 companies. VMware provides an evolutionary and pragmatic path to your cloud based on the industry’s most widely used virtualization platform. 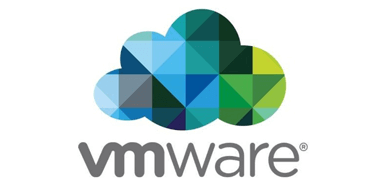 VMware solutions do not require you to rip and replace existing infrastructure. Rather, they let you leverage existing IT resources to move your business forward with your cloud. VMware customers experience unmatched results. On average, customers save between 50 and 60 percent in capital expenditures. They reduce time spent on day-to-day maintenance tasks by one-third. And they save up to 80 percent in data centre energy costs. VMware is the global leader in virtualization and cloud infrastructure to accelerate IT so customers can accelerate business. VMware solutions dramatically reduce IT complexity and transform the way IT serves your business. To lower costs and enable a more flexible, agile IT service-delivery model that better supports business needs, VMware is the ideal partner. Because VMware provides cloud infrastructure to both businesses and service providers, it enables secure interoperability between private and public clouds—bringing you all of the benefits of a hybrid cloud. VMware solutions are based on open standards and extend to a large ecosystem of public cloud providers, giving you flexibility and choice. IT organizations are increasingly facing challenges in protecting critical applications and IT infrastructure against various causes of downtime. VMware has taken a holistic approach to business continuity, enabling customers to protect all applications running on vSphere with simple and cost-effective solutions. Eliminate the cost and unpredictability of physical disaster recovery solutions by taking advantage of the inherent flexibility of a 100% virtualized data centre. Automate your disaster recovery plans and test your plans in a non-disruptive manner with VMware vCentre. Ensure the highest level of availability for your applications with built-in availability solutions that are easier and more cost effective than traditional application-level clustering. Automatically recover from server failures and migrate virtual machines live to perform maintenance on physical servers anytime, without user or service disruption.